Here is my outfit for day 5 o Me Made May! The skirt is a self drafted skirt that I made almost 7 years ago. 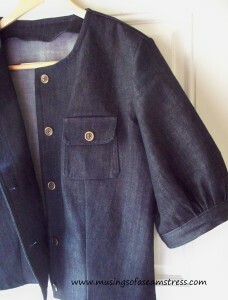 The denim jacket is one of my newest makes that I had not blogged about yet. After posting my new dress yesterday, I decided I am going to wear all the new things I have made that remain unblogged so I can remedy that this week. 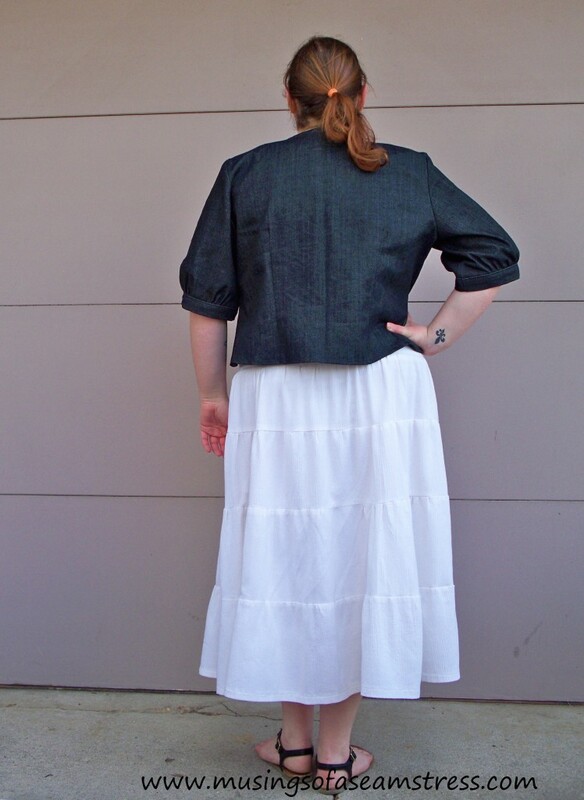 For this jacket I used Simplicity 2227 view C. I used 1.5 yards of a non-stretch denim that has been living in my stash for at least 8 years. I know that I bought it from Jo-Ann’s but I have not a clue as to how much I paid for it. I also used 7 antique gold metal buttons from the stash, so I am counting this as a free project. A big thank you goes out to all those who commented on Facebook and Instagram with which button I should use. Every single person said the gold. Even those who said they normally like silver, picked the gold. I am so glad I asked because they are perfect with the jacket. I really like the way the facing turned out. 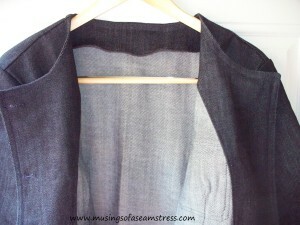 Normally I am all for linings in jackets because I feel like it gives them a better structure and more tailored look. However, with the darts for shaping and the heavy weight denim, I feel that the lining is not necessary. I even prewashed this denim and it is still stiff and holds it’s shape well. I wore this all day and it never once started to feel worn out or droopy in the sleeves. I believe I am going to get a lot of wear out of this jacket this season. 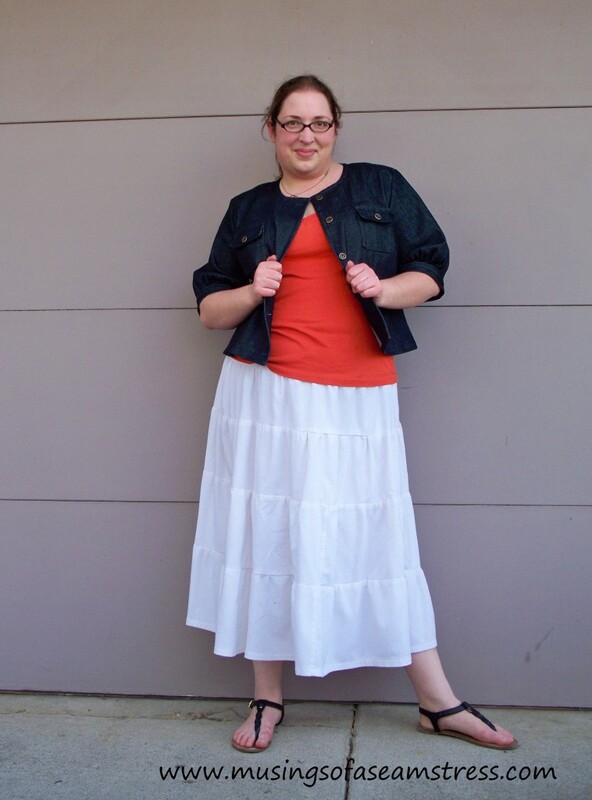 This was the jacket I made intending to wear with yesterday’s dress, but works well with this skirt today. Now, this is an out of print pattern, but it is still available on Simplicity’s website. If you do own this and haven’t tried it, do it soon. If you do not have it, I recommend picking it up before it is gone forever. You can ready my full review of this pattern on Pattern Review. 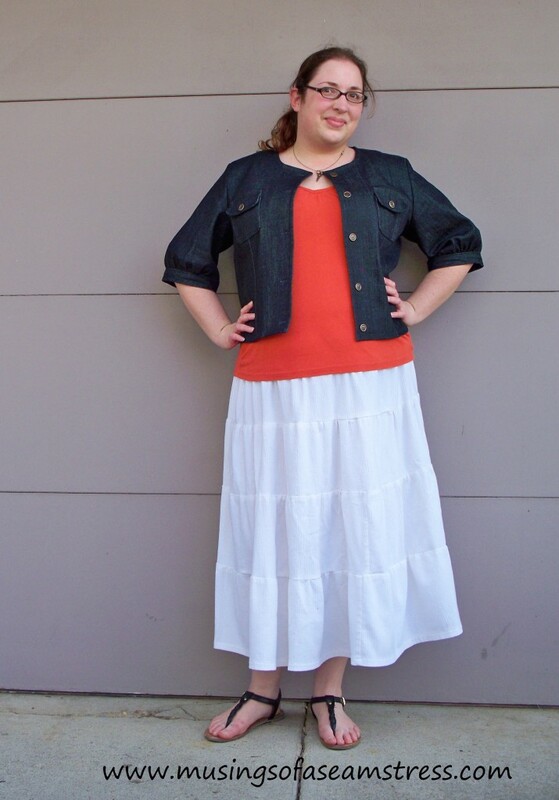 This entry was posted in Sewing and tagged denim jacket, Me Made May, mmm15, mmmay15, ootd, S2227, Simplicity. Bookmark the permalink. The jacket looks really nice. I can see this being a versatile wardrkbe piece. I think my favorite part is the gatheting at the sleeve cuff; it adds a hint of femininity to the jacket. Thank you. I am very pleased with how well it will work for my wardrobe. Yes, that cuff did it for me too! A three quarter sleeve works here in GA for most of the year. I have some denim in my stash to be a total copy cat. 😉 also have some suiting that I need to use up. Bahahaha. I promise, I was not trying to enable…well, maybe just a little. 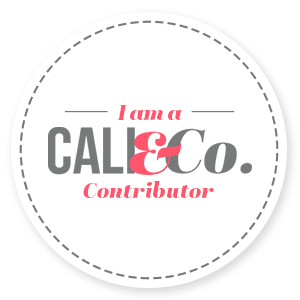 Thanks for the Etsy tip! I really love this outfit on you! The jacket is a GREAT match with the skirt. Keep sewing & posting.